Today (Wednesday 25 January) we’re commenting on calls in the media for the bowel cancer screening age to be reduced from 60 to 50 in England, Wales and Northern Ireland, to be in line with practice in Scotland. “In principle we support the bowel cancer screening age being lowered from 60 to 50, in line with Scotland and international guidance. Research shows that screening is the best way to detect bowel cancer early when it is more treatable and can even prevent it from developing in the first place. Lowering the screening age to 50 could therefore potentially save more lives. “However it’s not without complications. Current capacity in endoscopy units is insufficient to cope with the additional increase that screening from 50 would create. Many hospitals are already struggling to deal with the amount of people being referred for endoscopy, which is impacting on the length of time people are waiting for these crucial tests. The number of endoscopies has been increasing substantially for a number of years and this is set to continue. “Reports estimate that nearly a million more endoscopies in England alone will be needed year on year to meet the increasing demand of an ageing population. 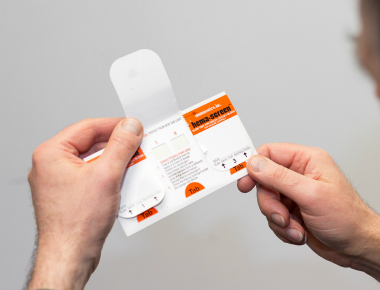 2) From 2018 introducing the Faecal Immunochemical test (FIT) to the screening programmes in England and Wales replacing the current Faecal Occult Blood (FOB) test that is used. As this is a test that can be adjusted to make it more or less accurate at detecting blood in the stool, it is essential that it is introduced at a level that reduces the amount of missed cancers and prevents cancer from developing. A national endoscopy strategy in each nation of the UK that addresses how units can best meet increasing demand. A national endoscopy training programme to ensure that we can meet the demand for the highly trained staff needed to safely provide a high quality endoscopy service. National clinical leadership to drive forward urgently needed improvements in endoscopy.